I read this article and found it very interesting, thought it might be something for you. 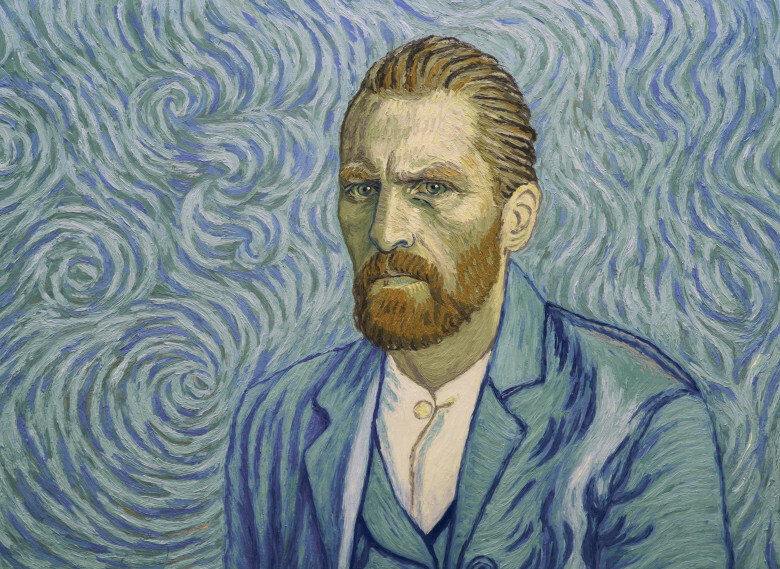 The article is called Film Review: Loving Vincent and is located at https://www.totallydublin.ie/film/film-review-loving-vincent/. Loving Vincent’s claim to fame is that it’s the first full length feature film to be done entirely in paint. Each one of the 65,000 frames that make up this 91min movie was painted by an artist, on a canvas, and in the style of Vincent Van Gogh. The fear when undertaking – or reviewing – such an incredible feat is: what if it is bad? What if, after all that time and effort, the end result is a bad film? Thankfully, there is no need to worry about Dorota Kobiela and Hugh Welchman’s dual creation; they have made a movie that is like no other and will surely spawn a string of imitations. The plot of Loving Vincent follows a relatively straightforward ‘who done it’ narrative as Armand Roulin (Douglas Booth) is sent on a mission by his father Joseph (Chris O’Dowd) to deliver a letter from the deceased Van Gogh (Robert Gulaczyk) to his brother Theo. The initially reluctant Armand is overwhelmed by the job getting drawn further into the mire surrounding the painter’s death. The mystery deepens and Kobiela and Welchman do well to not overcomplicate the plot here. The point of the film is not to shed fresh light on Van Gogh’s last days but to celebrate the man and, more importantly, his work. In this, Loving Vincent is an unquestionable success. From the way the camera pulls away from the static Booth in the opening scenes to swivel around the room and explore the depth you know you are in for something special. The first ten minutes are a challenge to try and stop yourself from being distracted by the aesthetics and pay at least some attention to the dialogue at hand. One thing that jars somewhat is the array of British/Irish accents used by the cast in a movie entirely set in France. However, this is merely a blemish on the palate. Loving Vincent is a triumph in aspiration and execution that does justice to the man himself.